ID Security Online is proud to announce Evolis’ most recent addition in card printers — the Evolis Zenius. 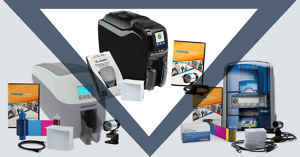 A genius of a product, it is a single-sided plastic card printer that fits snugly in most locations, such as front desks, counter tops, and just about anywhere in your office. The Evolis Zenius also makes itself seen and not heard given that it is a quiet printer, even more ideal for a productive and relaxed working environment. The Zenius is also an intelligently-designed machine, equipped with an LED control panel guide walks you through the print job process. 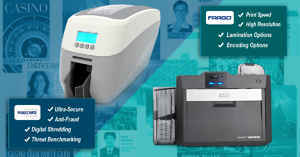 It also comes with several other useful features and alerts you when the feeder is empty and when it’s time to clean the printer or replace the ribbon. Designed with a 50-card capacity and with the card feeder and output tray both located in the front, it also minimizes the amount of space it takes up. Replacing the ribbon is as well a virtually effortless process; the Zenius is equipped with a built-in chip that allows it to recognize the ribbon type and automatically adjust configuration settings and uses a line of high quality parts that produce unrivaled graphics. 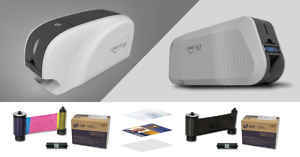 It can create including thermal transfer monochrome and color-dye sublimation color cards with a resolution of 300 dpi and is compatible with both contact and contactless cards. 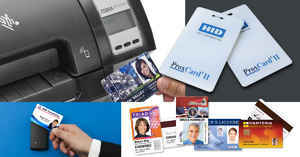 It can be very conveniently used in a variety of purposes, such as access badges, loyalty cards, student ID’s, transport passes and payment cards. 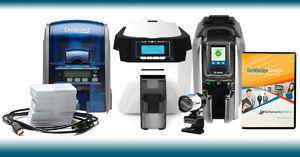 Utilizing features that as-of-now have only been offered by advanced systems, the Evolis Zenius is sure to make your printing experience easy and enjoyable.